Hey, that tastes good! : Livers, livers, livers! 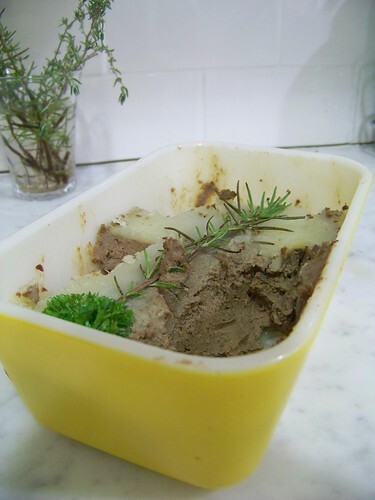 One of the easiest, cheapest appetizers that will make your guests think you slaved for hours and spent a ton of money making it is chicken liver pate. It takes about 15 minutes, plus some time hanging out in the fridge, and you're done. Make it a few days ahead of time, forget about it in the fridge, and whip it out when people arrive with some rice crackers or homemade bread, open up some wine, and people will be happy. Except for those who don't like chicken livers, but you can't help them I guess. 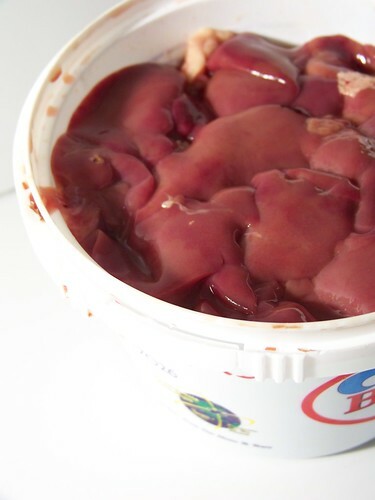 I don't like cooked livers, but I love them in their pureed form, whether its wurst or pate or something else. Yum. Melt 1/4 c butter or fat over medium-low heat, then cook onions and garlic until softened, about 10 minutes. Add herbs, salt, pepper, and livers, and cook on medium heat until lovers are cooked outside but still pink inside. Remove livers with tongs to food processor, turn up the heat, and deglaze the pan with the alcohol and wine. Simmer for a few minutes, scraping the pan to get everything off the bottom, and cook 5 minutes until reduced a bit. Scrape into the food processor, and pulse a few times until smooth. I like mine totally smooth, so I pulse it longer, but feel free to do it less if you like chunks. 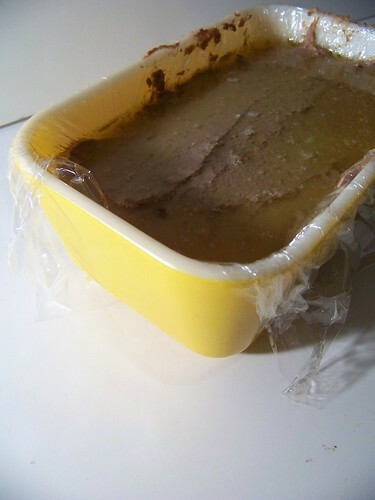 Spread warm liver mixture into a tureen, melt the rest of the butter, pour over the top to seal, and keep in the fridge a few days.